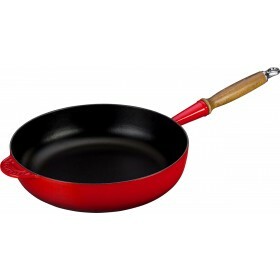 20cm diameter cast iron skillet for stovetop frying and oven baking. Integrated iron handle and dual pour spouts. Helper handle adds comfort and control when lifting. Durable satin black enamel cooking surface. Colourful, long-lasting exterior enamel resists chipping and cracking. 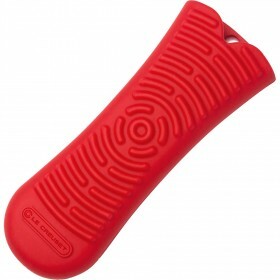 Oven, grill, freezer and dishwasher safe. 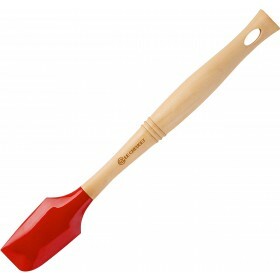 Total length including handles is 36cm. 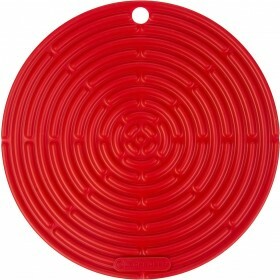 Will fit diagonally inside oven area measuring 28x28cm. Le Creuset cast iron skillets have long been treasured kitchen staples for stovetop frying and oven baking. 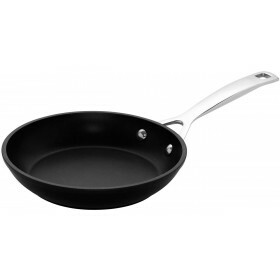 Over time, the satin black interior enamel develops a natural patina that is ideal for searing and frying. Each skillet features an integrated iron handle, and an additional helper handle for easier lifting and added control when moving between stovetop, oven and table. There are also pour spouts on two sides to allow for drip-free pouring. 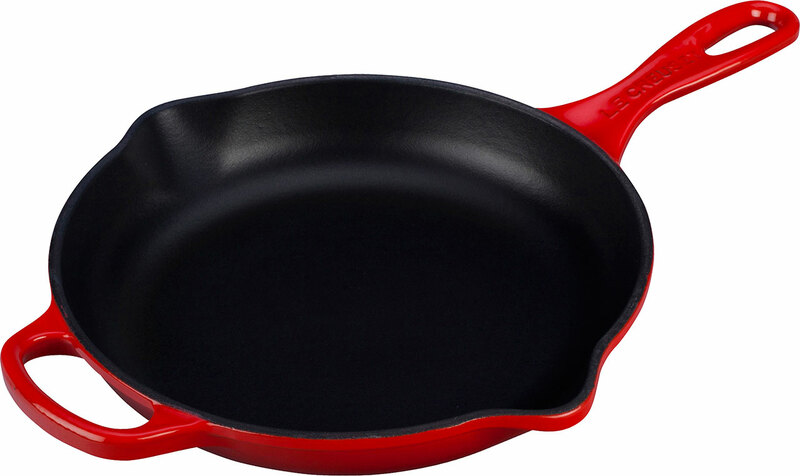 So whether frying eggs, baking desserts or searing meat, the skillet perfectly prepares a variety of classic foods on the stovetop or in the oven. Thankyou, I will certainly shop with you again shortly. Ordered this product for a birthday gift. Works fantastic great colour choices and very good price!!! 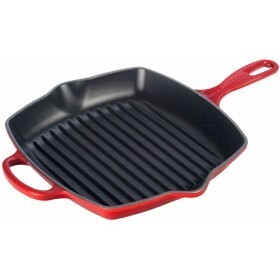 Teddingtons had the best price by far for Le Creuset on the internet and very reasonable shipping for such heavy items. Fast shipping and excellent communication.